This textile is a work of fine art. It is intended to be viewed, not used as a rug or blanket. 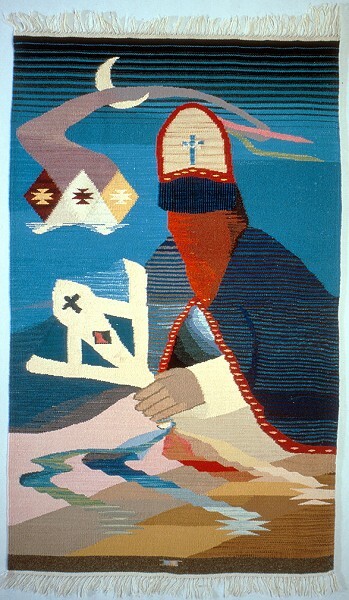 In the second half of the 20th century, scholars and collectors alike have come to recognize New Mexican Hispanic weaving as a fine art form, stimulating textile artists like Irvin Trujillo to experiment with designs and techniques to create even more innovative pieces. Like other artists, they now title their works and incorporate their signatures into the designs.